When it comes to being a blogger, writing and creating new content is obviously your main focus, but there is so much more to it than that. Once your content is online, you’ve still got to worry about search engine optimization, further research, design, and the all important marketing and social media promotion in order to encourage new traffic to your blog. One of the toughest things about being new on the social media scene is building your account up to a level of respectability, and that is no more true than on Twitter, where only your personal followers will ever see what you have to say and share. Enter TweetAdder, the most robust app aimed at building your Twitter account available on the market today. Helping you to get started, TweetAdder is able to aggressively follow new targeted users, encouraging them to follow you back and therefore gain you an instant audience. Once you have a list of followers, TweetAdder can help you to automatically share content, send automated direct messages and tweets, auto-follow those who follow you, and much more, saving you valuable time in the process. This is really oe of the best social media promotion tools out there. A word of caution: TweetAdder is powerful enough that overusing it can not only give you a reputation as a spammer, but also puts your very Twitter account at risk. Stay within Twitter’s guidelines when utilizing this app for best results. Available for a variety of blogging platforms, so-called share to unlock plugins allow you to limit the amount of content that a visitor can see on a given blog post until they share the article on a given social media network. Most such plugins will allow you to set parameters as needed, giving your readers just enough of your content to leave them wanting for more. Once they’ve shared the article with their Facebook friends, Twitter followers, or others, you can expect a wash, rinse, and repeat cycle to take place with your latest visitors – a positive cycle for a blogger if there ever was one. 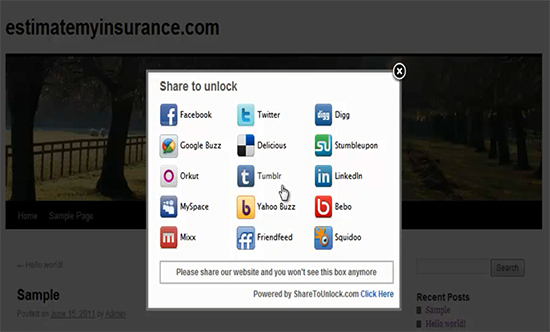 Given the prevalence of social sharing buttons on websites and blogs today, a share to unlock scenario may just be the added boost that your visitors need to really focus in on yours – just be sure that the content that they’re unlocking is of a value that will make them feel that the whole endeavor was worth the effort! No matter what niche you blog in, or what you have to sell online, it’s quite likely that you utilize Facebook fan pages in order to bring your social followers together in one place. Providing a platform for promotion, conversation, and content sharing, Facebook pages are an unbeatable – and absolutely free – way to show your stuff on the world’s largest social network. Available for both Android and iPhone, the Facebook Page Manager app does exactly what its title suggests, allowing you to manage all aspects of your Facebook page even while you’re on the go. With this app, you’re able to monitor fan activity and respond accordingly, purchasing promoted posts or simply adding new content while you have a few minutes to kill. This is a social media promotion tool you really eed to try. Whether it’s always obvious or not, the social media landscape is made up of far more networks than Facebook and Twitter alone, and managing all of these profiles for the sake of promoting your content can become an overwhelming task, taking up enough of your time that you lose sight of the fundamentals. 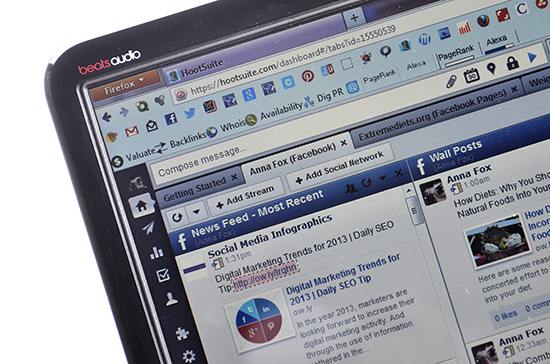 Enter HootSuite, the world’s favorite all-in-one dashboard for managing multiple social media profiles. Offering up all of the statistics and at-a-glance facts that you’d expect, this handy social media dashboard also makes it easy for you to connect with your fans and followers on a personal level. Besides its potential for making new connections and nurturing existing ones, HootSuite also makes it easy to track mentions of your brand, analyze social media-driven traffic to your website, pre-schedule messages to be sent to your fans, and much more. HootSuite is one of my best social media promotion tools, i recommend you try it out. The most common method of promoting your content via social media is simply to share it within social networks in order to catch more eyes – and clicks – then you otherwise would, and Dlvr.it is a service that aims to do this for you, leaving you with more time for the more personal social interactions that only a human mind can accomplish. The premise is simple: you enter any RSS feed that you want to be delivered to a third-party source, then choose its social destination, including both Facebook and Twitter. Dlvr.it does the rest, sending your content directly to the network of your choice as soon as it’s published, all within parameters set by you that allow you to control hash tags and more. Thanx for this post, really a great idea. I am using just one of the above and others really new to me . Share to Unlock sounds cool. Neat concept. I am a hootsuite junkie myself. I live on the network because you can be in and out in record time, on multiple networks, engaging and connecting. The key is to find a balance between using apps and creating new content. Thanks for sharing your insight Anna. I hope you try them out and save yourself some precious time. Thanks Ryan for your great contribution. Nice post for the bloggers to improve their productivity. I want to use Hootsuite for social media promotion. I know that many internet marketers are using it to increase their social presence. Have to learn how to use it, thanks for sharing it. Thanks Niraj. Trying new tools and apps is always good idea. More apps you test -> more alternatives you discover -> more sources to increase feedback you get in result. Ryan, totally agree with you. Finding balance between constantly increasing number of tasks is a key to our successful blogging life. At times, sharing a post across variety of social media channels can become tedious, there comes the need of this tool which can make the task simple. Great list of plugins and ‘Share to Unlock Plugins’ attracted me immediately. This will certainly improve the social interaction and engagement for any blog post. I wonder if it will annoy the readers. One more concern, will it display whole content to the search engine bots? Otherwise, we may be missing good spots in ranking. Luckily there are a lot of great tools to chose from. The thing I like the most is that they fit every taste. All you need is to decide which of them are best for you. Suresh, there is nothing to worry about. Share to unlock plugins give search engine bots an access to the whole content of the post including the hidden part. Will it annoy readers? I don’t think so. As if the post is of interest to the reader he’ll continue reading it despite of any conditions. HootSuite is really amazing. I have used it and got positive feedback. It maintains your profile and share your content on social networking sites and helps you stay connected with your friends. Thanks for preparing a list of popular Apps and sharing it. I don’t recommend you use it in all your post. Really, you wrote a very nice post regarding time saving apps for social media promotion. I am new at social media but will try to use your apps to save my time. Keep it up and thanks for sharing such a informative post for us. Hi Dan. I’m glad that my article attracted your attention. Talking about Share to Unlock Plugins I should say that they don’t hide the locked part of the content from search engine bots. So your ranking won’t be pinched by these apps. In fact, using them or not using them on your blog – is a matter of preferences. Nice post for the bloggers to fetch traffic from social integration. I’d like to use Rss Graffiti from rssgraffiti.com as its easy way to share your post automatically to facebook.Currently we are using dlvr.it It works like charm.Happy to see favorite tool in your post. Hi Kedar, I have not tried rssgraffiti.com yet. However, you’ve described it so involving that I’ll definitely try it. Looks like a great tool. Thanks for mentioning. Nice post thanks for sharing this list with us. This list will helps to get more audience.Except facebook method all other methods are new to me.I would like to try this in my blog. Enterprise Cloud Deployment Failure – Who Is To Blame?